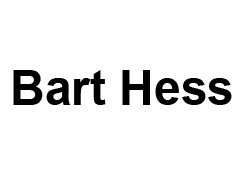 Bart Hess (1984) explores several fields combining material studies, animation and photography. Bart has a very personal and recognizable signature. With his designs he is able to use new and existing materials in a very innovative way and he seems to tap into new worlds. His work is of international stature, he finds and creates its own stage and international collaborations with prestigious names such as Lady Gaga, Palais de Tokyo, Iris van Herpen and Nick Knight. With his work he obtained an independent position in the (fashion) world.